Much has been said and written about the inhabitants of Newman’s Ridge and Blackwater in Hancock County, Tenn. They have been derisively dubbed with the name “Melungeons” by the local white people who have lived here with them. It is not a traditional name or tribe of Indians. Some have said these people were here when the white people first explored this country. Others say they are a lost tribe of the Indians having no date of their existence here, traditionally or otherwise. All of this however, is erroneous and cannot be sustained. These people, not any of them were here at the time the first white hunting party came from Virginia and North Carolina in the year 1761-- the noted Daniel Boone was at the head of one of these hunting parties and went on through Cumberland Gap. 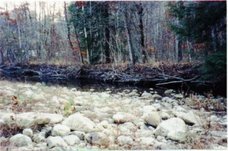 Wallen was at the head of another hunting party from Cumberland County, Virginia and called the river beyond North Cumberland Wallen’s Ridge and Wallen’s Creek for himself. In fact these hunting parties gave all the historic names to the mountain ridges and valleys and streams and these names are now historical names. 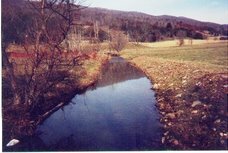 Wallen pitched his first camp on Wallen’s creek near Hunter’s Gap in Powell’s mountain, now Lee County, Virginia. Here they found the name of Ambrose Powell carved in the bark of a beech tree; from this name they named the mountain, river and valley for Powell, Newman’s Ridge was named for a man of the party called Newman. Clinch River and Clinch valley--these names came at the expense of an Irish man of the party in crossing the Clinch River, he fill off the raft they were crossing on and cried aloud for his companions to “Clench me", "clench me", and from this incident the name has become a historic name. 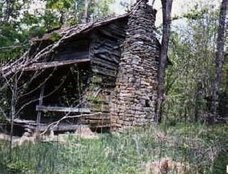 About the time the first white settlement west of the Blue Ridge was made at Watauga River in Carter County, Tennessee, another white party was then working the lead mines in part of Virginia west of the Blue Ridge. In the year 1762 these hunters turned, coming through Elk Garden, now Russell County, Virginia. They then headed down a valley north of Clinch River and named it Hunter’s Valley and buy this name it goes today. These hunters pitched their tent near Hunter’s gap in Powell’s Mountain, nineteen mile from Rogersville, Tenn. on the Jonesville, Va. road. Some of the party of hunter went on down the country to where Sneedville, Hancock County, now stands and hunted there during that season. Bear were plentiful here and they killed many, their clothing became greasy and near the camp was a projecting rock on which they would lie down and drink and the rock became very greasy and they called it Greasy Rock and named the creek Greasy Rock Creek, a name by which it has ever since been known and called since, and here is the very place where these Melungeons settled, long after this, on Newman’s ridge and Blackwater. Vardy Collins, Shepherd Gibson, Benjamin Collins, Solomon Collins, Paul Bunch and the Goodmans, chiefs and the rest of them settled here about the year 1804, possibly about the year 1795, but all these men above named, who are called Melungeons, obtained land grants and muniments of title to the land they settled on and they were the friendly Indians who came with the whites as they moved west. They came from the Cumberland County and New River, Va., stopping at various points west of the Blue Ridge. Some of them stopped on Stony Creek, Scott County, and Virginia, where Stony Creek runs into Clinch river. The white emigrants with the friendly Indians erected a fort on the bank of the river and called it Fort Blackmore and here yet many of these friendly “Indians” live in the mountains of Stony Creek, but they have married among the whites until the race has almost become extinct. A few of the half-bloods may be found - none darker - but they still retain the name of Collins and Gibson, &c. From here they came to Newman’s ridge and Blackwater and many of them are here yet; but the amalgamations of the whites and Indians has about washed the red tawny from their appearance, the white faces predominating, so now you scarcely find one of the original Indians; a few half-bloods and quarter-bloods-balance white or past the third generation. The old pure blood were finer featured, straight and erect in form, more so than the whites and when mixed with whites made beautiful women and the men very fair looking men. These Indians came to Newman’s Ridge and Blackwater. Some of them went into the War of 1812-1914 whose names are here given; James Collins, John Bolin and Mike Bolin and some others not remembered; those were quite full blooded. These were like the white people; there were good and bad among them, but the great majority were upright, good citizens and accumulated good property and many of them are among our best property owners and as good as Hancock county, Tenn. affords. Their word is their bond and most of them that ever came to Hancock county, Tennessee, then Hawkins County and Claiborne, are well remembered by some of the present generation here and now and they have left records to show these facts. 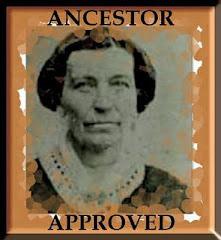 They all came here simultaneously with the whites from the State of Virginia, between the years 1795 and 1812 and about this there is no mistake, except in the dates these Indians came here from Stoney Creek. 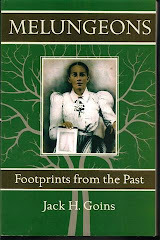 L. M. Jarvis - Honorable Lewis M. Jarvis the leading lawyer of Sneedville was born in Scott County, Va. October 26, 1829. He was the son of Daniel Jarvis (born 3/15/1799) and Mary Jarvis, nee Mary Collins, of English and Irish descent. Daniel was born in Giles County, Va. His wife Mary was born in Botecourt County, Va. They were married in 1813. Daniel Jarvis died near Sneedville July 29, 1885.